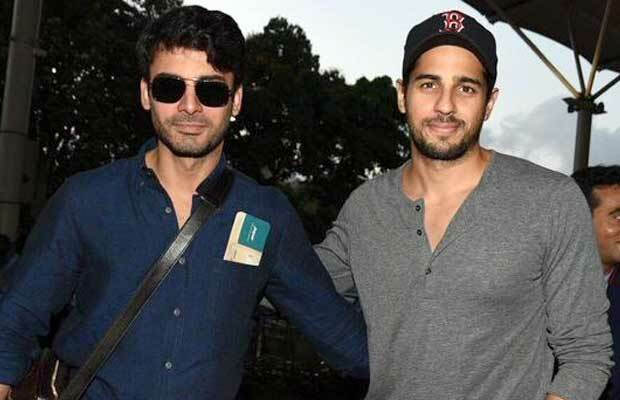 Home BOLLYWOOD Watch: All Ok Between Sidharth Malhotra And Fawad Khan? Watch: All Ok Between Sidharth Malhotra And Fawad Khan? [tps_footer]Bollywood stars Sidharth Malhotra, Alia Bhatt and Fawad Khan recently launched the first trailer of their much-awaited film Kapoor & Sons. The entire case and crew seemed to be much excited and happy for the trailer of the film. But have you ever wondered how these actors shoot and how the rest of the free time spent on the sets? We tell you, Sidharth and Fawad, who were shooting in Coonoor for the film, used to indulge in outdoor sports when cameras go off. Malhotra shared another video which is titled as “Sidharth Malhotra & Fawad Khan Play Cricket – Teaser.” The clip features Malhotra and Khan arguing over their cricket match that they played on the sets. They fight with each other to get their point across. Both of them talk in tandem. Am sure we all do that when we play any sport. They were actually bonding on sets. Malhotra said that they have worked less and played more during the shooting of “Kapoor and Sons” in Coonoor. The whole cast and crew of the film joined for the outdoor sport game! It seems like Sidharth Malhotra and the team of his film ‘Kapoor & Sons’ got a day off after a hectic shooting schedule and rather than stretching their legs and catching on some good nap, the actors chose to take the whole team out in the open for a game of Cricket. Being candid, Sidharth and Fawad Khan are also seen sharing their fun moments in behind the scenes video of of Kapoor & Sons. The two stars who bonded with each other like best buddies on the sets, were also seen battling against each other while playing the fun sport game. Well, it was all for the game! Previous articleHiten, Ssharad, Asha, Nivedita, Aly And Others Have A Rocking Valentine’s Day! Next articleValentine’s Day Special: How About Real Life Couples In These Evergreen Romantic Films?